For example, Artistic persons are more likely to be successful and satisfied if they choose a job that has an Artistic environment, like choosing to be a Graphic Designer in a Production House -- an environment "dominated" by Artistic type people where creative abilities and expression are highly valued. Persons having a Realistic personality type "dominate" this environment. There are more of them than there are people of other personality types. "Realistic" people create a "Realistic" environment. For example, they particularly value people who are practical and mechanical -- who are good at working with tools, mechanical or electrical drawings, machines, or animals. Persons having an Artistic personality type "dominate" this environment. There are more of them than there are people of other personality types. For example, among a group of professional musicians there will be more persons of an "Artistic" personality than there will be people who have a Conventional type. "Artistic" people create an "Artistic" environment. For example, they particularly value people who are expressive, original, and independent -- who have good artistic abilities in creative writing, drama, crafts, music, or art. Persons having a Social personality type "dominate" this environment. There are more of them than there are people of other personality types. For example, in a hospital, school, or counseling service there will be more persons having a "Social" personality than there will be people who have a Realistic type. "Social" people create an "Social" environment. For example, they particularly value people who are helpful, friendly, and trustworthy -- who are good at good at teaching, counseling, nursing, giving information, and solving social problems. Persons having an Enterprising personality type "dominate" this environment. There are more of them than there are people of other personality types. For example, in a business or legal setting there will be more persons having an "Enterprising" personality than there will be people who have a Investigative type. "Enterprising" people create an "Enterprising" environment. For example, they particularly value people who are energetic, ambitious, and sociable -- who are good at politics, leading people and selling things or ideas. Persons having a Conventional personality type "dominate" this environment. There are more of them than there are people of other personality types. For example, in an office of a bank or real estate company there will be more persons having a "Conventional" personality than there will be people who have a Artistic type. "Conventional" people create an "Conventional" environment. For example, they particularly value people who are orderly, and good at following a set plan -- good at working with written records and numbers in a systematic, orderly way. End of the day it matters to that how much money we can get from typical field.These filed choices are more valid in westren culture,but here in pakistan we have very limited work areas. social personality i clear my inter aur ab main b.a main hon .aur main ny inter main 56% marks liye hain aur ab main pak army main comission ke post apply karna chata hon.aur mujhe computer main b boht interest hai? so plz sir guide me i am very thank ful to u. mamoon.rasheed. is LLB is good 4 females? i am confident and i can speak confidently.. so should i do llb after fsc pre medical? I have recently done EMBA(HRM) & now I m doing job in cargo company in operations dept.Kindly guide me I want to do CSS/PMS in 2011. ASalam 0 Alikum. 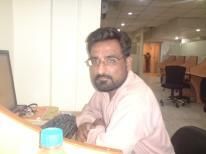 My name is Waqas. i am the students of BBA(hOns)+MCSE. What should i add to my career that it help me in future life? sir,i have passed D.A.E from GOVT.college of technology railway road lahore.i should more education in this field.but no result this degree.auto mobile & diesel technology is no scope in our country.plz tell me,i am change his field or then same keep its. Sir, I have 6 year experience of banking and got lot of achievements awards on the behalf of my performance. I want to promote my self kindly offer me a good opportunity. To work in the field of sales and marketing with a well reputed and professional organization wherever to prove my productivity and effectiveness at the job floor. mere first year mein 80% hai. Aur second year mein mentain ho jaye gee. mere liye kaun se faculty acche hai NED mein?